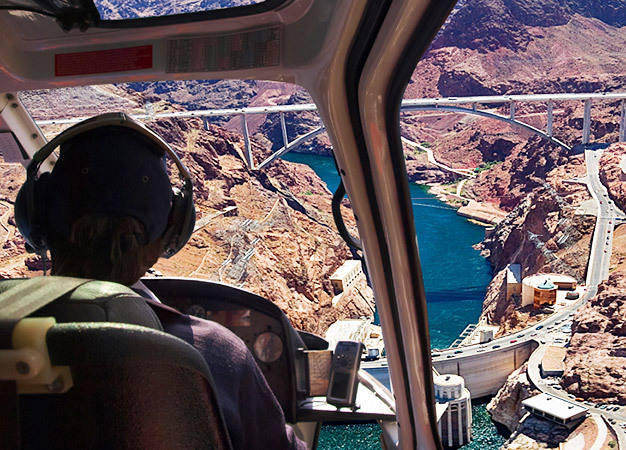 Board a 5 Star luxury helicopter for panoramic aerial views of the Hoover Dam & Bypass Bridge before descending below the rim of the Grand Canyon and the landing at the Crand Canyon West Airport for front-of-the-line access to the Skywalk! 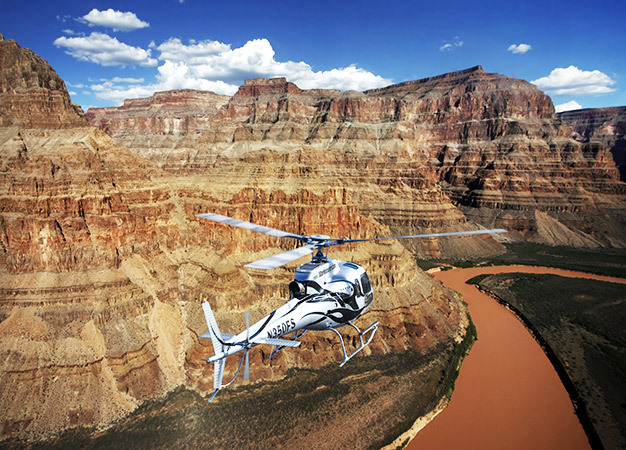 You will soar like an eagle over the mighty Colorado River past geological rock formations that span millions of years. 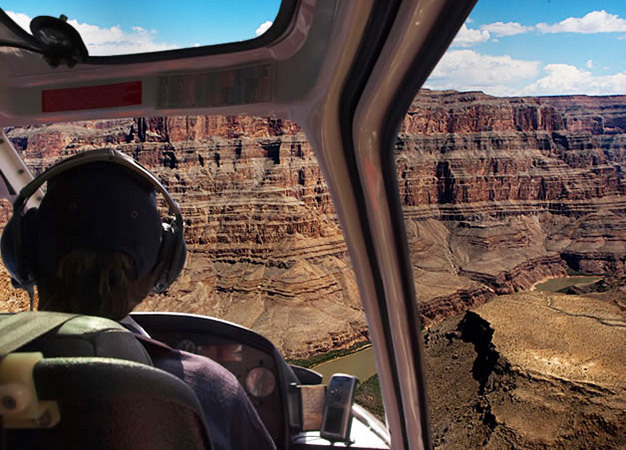 After exiting the Canyon, you will then land at the Grand Canyon West Rim Airport, where a shuttle van transfers you to the World Famous Skywalk for your front-of-the-line pass. 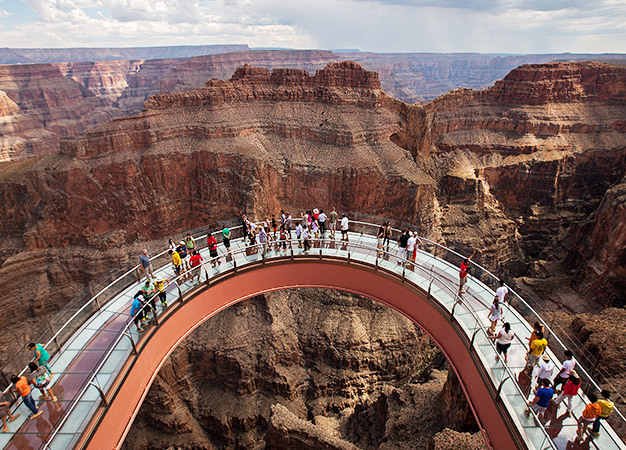 You will then step foot onto the 4,700 feet high transparent horseshoe-shaped bridge extending 70 feet from the edge of the Canyon itself. 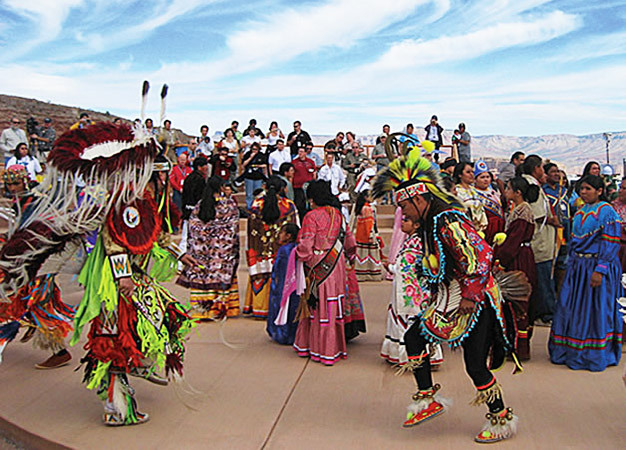 You will experience breathtaking views of the Grand Canyon West Rim and the mighty Colorado River. 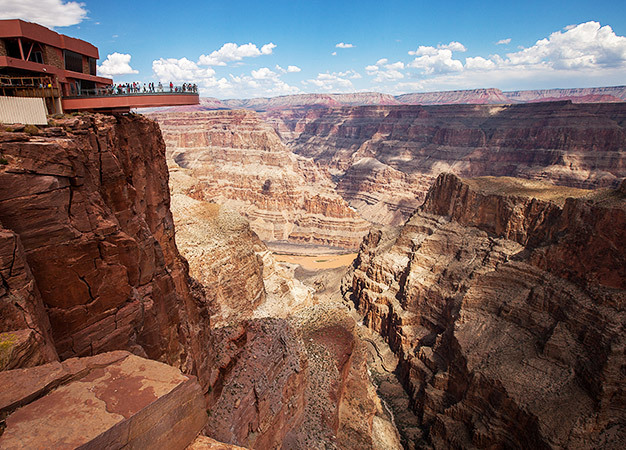 Tour includes approximately 30 minutes at the Skywalk plus you will receive a complimentary professional souvenir photograph (per person). SPECIAL NOTE: No cameras, camcorders, cell phones, purses or backpacks of any kind are allowed on the skywalk. Secure lockers are available to store your belongings free of charge. TIME AT SKYWALK: Approx. 30 min.